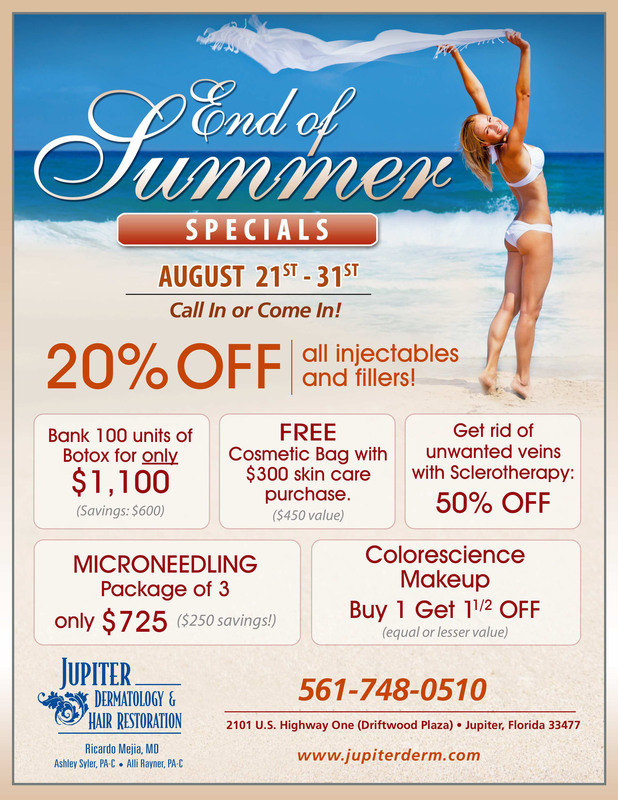 Celebrate the end of Summer with Jupiter Dermatology. $250 OFF Microneedling when you buy our 3 package spectacular. FREE Cosmetic bag when you purchase $300 of skin care treatments. All deals valid now until August 31st 2017. Give us a call on 561 748 0510 or see us today at Driftwood Plaza, Jupiter, Florida. Save more money on cosmetic treatments and procedures only with Jupiter Dermatology.